One of the MOST WANTED holiday items this year is the iPad Mini. Wait until you see this deal! 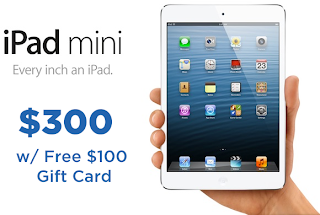 Best Buy is offering a $100 Gift Card with the purchase of an iPad Mini making this deal ONLY $200.